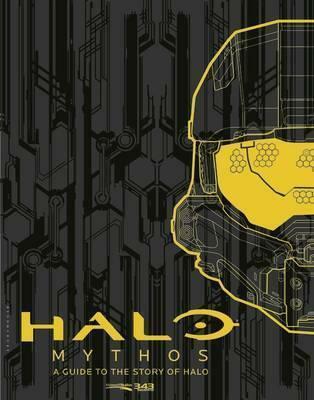 This official, comprehensive, authoritative guide to the Halo universe, written in collaboration with 343 Industries, the developers of the â€œHaloâ€ franchise, marks the first time that a book incorporates the entirety of the â€œHaloâ€ canon, including the games, books, comics, live-action and animated entertainment, and more. The book also includes over 50 specially commissioned full-color paintings showcasing vehicles, artificial intelligence, weapons, ships, and never-before-seen aspects of Halo environments. The amazing illustrations come from a variety of renowned illustrators, including Jean-SÃ©bastien Rossbach, Leonid Kozienko, Benjamin CarrÃ©, Isaac Hannaford, and 343's internal art team, too. For the first time ever, the timeline of the Halo universe is available in one place, charting humanity's battles against alien forces of the Covenant, Forerunners, and the Flood--making this book an absolute must-have for Halo fans.